When making the transition to the new National Curriculum, the thought at the back of all our minds was ‘how is assessment going to look?’. This was the hot topic of conversation for the majority of the year prior to launching the new curriculum in September 2015. As a group of schools, we had made the decision to get inside the new curriculum for a term prior to making any final decision on the best way to assess. Luckily we have some great experience on the team in the shape of Bede Higgins the Head of Kings’ Dubai, a long serving senior leader in the UAE and the font of all knowledge with regards to the KHDA inspection framework. Unlike the UK, Dubai schools are inspected on a yearly basis. This was always going to add an extra level of pressure to get it right. 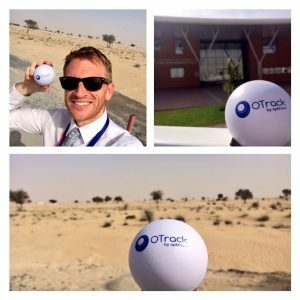 Kings’ Al Barsha were very lucky to have the leadership of Simon Camby formerly of Focus Education for the start of the year. His insightful knowledge and understanding of the new National Curriculum helped us understand clearly the expectations of the new curriculum and how we were best to assess it. However, there was one major problem, we knew how we wanted to assess but it was not in line with any typical ‘off-the-shelf’ assessment platform. Then we were introduced to Optimum OTrack. It did not take us long to know we were on the right track. After a couple of conversations with the OTrack team in the UK, we realized we had found the perfect assessment platform to help us assess children’s learning of the new curriculum. A very charismatic Al Powell helped us understand the intrinsic features of the system and what set it apart from the rest. We had found a cloud based assessment platform that offered boundless options and enabled us to build a bespoke platform that allowed us to meet the needs of the children, staff and KHDA. We had hit the proverbial goldmine. Over the course of the next couple of months, the curriculum objectives we uploaded, historic data mapped, bespoke reports created and onsite training delivered by Al to all 3 leaderships teams and over one hundred teachers. Introducing a new assessment platform to staff is always a challenge but because of the simplistic and accessible way OTrack is designed, this was not an issue. Staff were quickly onboard making formative assessment judgements in the days after the training. Within a week we had 25 teachers inputting live data for nearly 600 children. Since then, teachers have set about addressing the gaps that have been highlighted by the manipulation of assessment data in OTrack. We now have the ability to build a learner profile of a child within seconds against a bespoke set of curriculum expectations. As I write this, only 6 weeks after the initial training, we are constantly referring to the data and are able to manipulate and share it in so many ways. It has formed an integral part of pupil performance meetings throughout the school. On Tuesday May 10th, we launched the platform to our parents. The reception was unanimous; this is what we have all been waiting for. ‘Real’ information about our children. Without a doubt, OTrack has proved a valuable and unique addition to the learning community at Kings’ Schools. We look forward to building on this success in the future.